How do parents feel when they learn their child has epilepsy? After a child has several seizures and a diagnosis of epilepsy is made, parents often experience feelings of fear or worry, which is normal and understandable. Most people are afraid of the unknown. There may be overwhelming feelings of sadness or depression, as parents grieve for what they perceive as the loss of their “normal” healthy child. They grieve for the life changes that will come with having epilepsy and for the dreams they believe won’t be fulfilled. 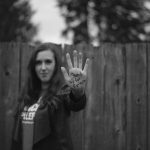 These feelings of grief are normal and common, and often precede a parent coming to terms with epilepsy and accepting it as just a part of their child’s life. Many parents focus on the question “Why did my child develop epilepsy?” Some parents feel that it is somehow their fault or wonder if they could have done something differently to prevent the seizures. Or parents may feel resentful about the new challenges and demands they will be facing, and then experience guilt for feeling this way. What kinds of concerns do parents have? Anxiety is common and parents may have a number of overwhelming worries: Will my child die? Will he be brain damaged or experience problems with development? Can I let my child play by himself? Can he go to camp or play hockey? What will my family and friends say? What do I say to my child? Along with these concerns, parents also struggle with the unpredictability of seizures and often feel they have no control over what will happen. They worry about whether their child is safe while away from home. They worry that teachers or other adults will mishandle seizures or will make the situation worse by overreacting. Parents also worry about the potential side effects of their child’s medications or the impact of missing school due to seizures and medical appointments. What pitfalls should parents of children with epilepsy try to avoid? Given their feelings and worries, many parents react by overprotecting the child with seizures. They lean too heavily towards concerns about safety, while ignoring a child’s need to explore and master his environment, which is crucial for healthy development. Often the frequency of the child’s seizures is irrelevant; parents tend to worry whether their child experiences 1 seizure per year or 100. Children with epilepsy need to play and take responsible risks. Some parents do not discipline their child with epilepsy out of fear that this will bring on a seizure. Children with epilepsy require normal discipline and should be given age-appropriate household responsibilities. How do parents cope with their child’s epilepsy? While the diagnosis of epilepsy can place new demands on a family, often parents cope quite well with this new reality. 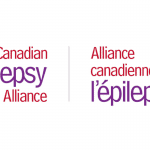 They read, ask questions, and gather as much information about epilepsy as they can. They join support groups and talk to other parents who have gone through similar experiences. This helps to decrease the sense of isolation that some parents experience. Other parents avoid thinking or dealing with the issues, pretending that the epilepsy really does not exist. Sometimes, one parent copes with epilepsy by becoming very engrossed in learning everything there is to know on the subject, while the other parent remains immobile with fear, sadness or denial. This is normal. What coping strategies are recommended to parents of children with epilepsy? One of the best ways of dealing with the challenges of having a child with epilepsy is keeping the lines of communication open. Speak to your spouse and close relatives about how you are feeling. Talk to your children about epilepsy and seizures, and solicit their opinions or concerns. Let your child with epilepsy know that it’s okay to be confused or frustrated sometimes, and that he or she can talk to you about feelings. Contact your local epilepsy office, who can offer you support and information and help you meet other parents who have gone through what you are experiencing. Learn as much about epilepsy as you can. This knowledge will often go a long way toward making you feel more comfortable and in control. How does a child feel about having epilepsy? Children go through many of the same feelings as their parents. Depending on the age of the child and the type of seizures, children may experience fear and worry. They may be afraid of dying or of losing control in public. They may feel confused or anxious about having to attend medical appointments, undergo tests, take medications, or miss school or other activities when a seizure has occurred. Children may feel angry if they perceive having epilepsy is preventing them from taking part in activities with their peers. Some teenagers with seizures feel very isolated or different from their peers, at a time when “belonging” is so important. They may have difficulty making close friends or feel reluctant to tell their friends about the seizures. Often children and teenagers with epilepsy develop low self-esteem, which is intensified if they are perceived as vulnerable or overprotected by their families or teachers. How can parents help children cope with epilepsy? It is important to avoid focusing completely on the seizures, to the exclusion of other aspects of your child. Most children with epilepsy have the same concerns, desires, and dreams as other children, and the seizures need not prevent them from reaching their goals. Fears about seizures should be acknowledged and the child should be made to feel that he or she can talk to mom or dad about any concerns or worries. It is important to avoid overprotecting your child or unduly restricting her activities, otherwise she will perceive herself as vulnerable and incapable, and will then become overly dependent on others. What if a child with epilepsy also has learning or behaviour problems? When epilepsy is accompanied by other difficulties, such as learning or behaviour problems, a child may be even more affected. In this situation, it is important to look at how these difficulties interact and focus on ways to make your child better understand the ways his inappropriate behaviour is connected to his feelings of frustration, sadness, or anger. If a child is given the opportunity to express his feelings in a safe and supportive environment, this can help him to cope with the challenges he finds in his daily life. How does epilepsy affect the other children in the family? When one member of the family must face an illness or medical condition, everyone in the family is affected in some way. Epilepsy is, by nature, an unpredictable disorder. Seizures can happen anywhere, at any time, and do not respect family routines. Other children in the family may be disappointed when outings or activities are interrupted or cancelled when their sibling has a seizure. They may feel neglected, left out, scared, or overly responsible. They may worry that they too will begin having seizures or may believe the myths and stereotypes held by their friends at school. Siblings may have a difficult time dealing with teasing and the beliefs of other children. Some parents do not provide the same discipline and household responsibilities for the child with epilepsy as they do for other siblings, often causing resentment. Siblings may also feel jealous about the extra attention paid to the child with epilepsy. How can parents help siblings of children with epilepsy cope? Take time to discuss epilepsy with your other children. Give them age-appropriate information so that they will be better able to address the ignorance of others and explain epilepsy to their friends. It’s crucial for parents to spend one-on-one time with their other children and recognize that events in their lives are worthy of their attention too. Discipline and household chores should be fair and equal for all children. Sometimes, siblings are given the responsibility to watch over or care for the child with seizures, even when that child may be older. Although it is important for brothers and sisters to understand seizures and not be afraid of them, making them play the role of “parent” is inappropriate. However, ensuring that they are informed can prevent other people from reacting negatively to a seizure and can make them feel helpful and included.